Our Service Person Will Contact You Soon ! 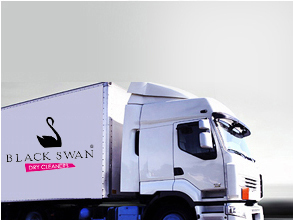 why should choose black swan? 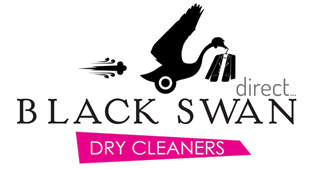 Black Swan was first established in 2000 under the brand name Sparkle Dry Cleaners at City Centre, Thrissur. 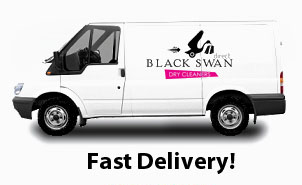 Black Swan Direct on demand Home Pickup and Delivery service trail run started. Quality is in everything we do. 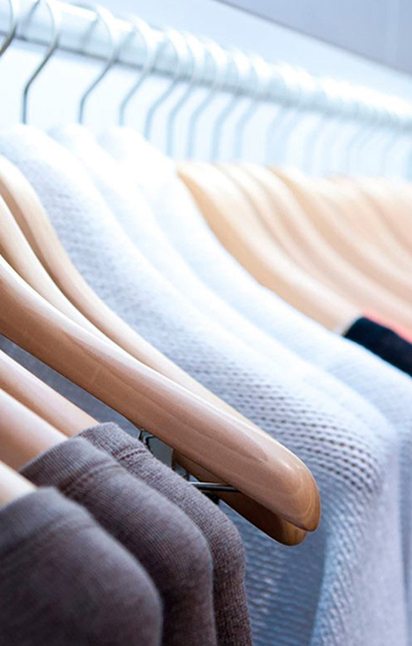 From the time you enter our stores to hand over your clothes, to the time they are returned to you stain-free, store fresh, ready to wear, we will protect your wardrobe investment with the finest quality dry cleaning and fabric care. 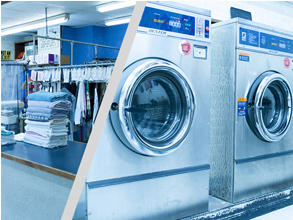 Be it silk sarees, suits, formal/designer wears or any other sensitive fabrics, our dry cleaning process ensures quality cleaning retaining the richness, texture and colour of the garments utilizing specialized dry cleaning machines and finishing equipments. 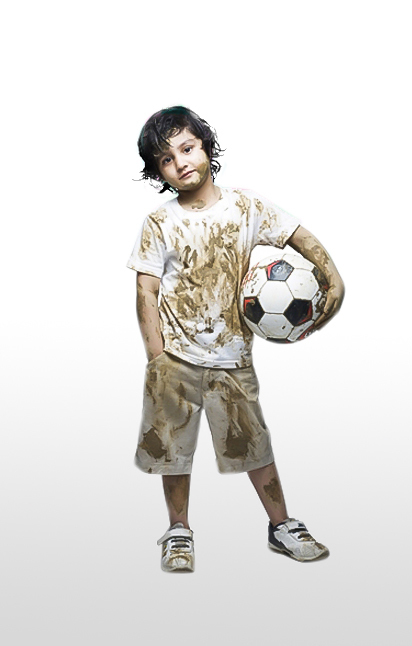 We utilize organic solvents to ensure the process is eco-friendly and give the best results. 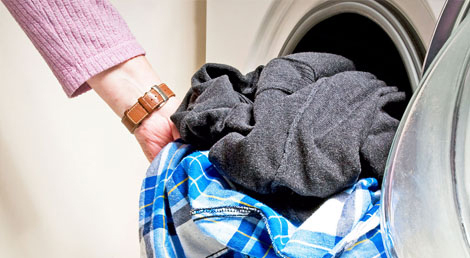 We utilize modern wet cleaning techniques using high quality detergents and additives to ensure your garments are wet cleaned and processed in a hygienic and quality manner. 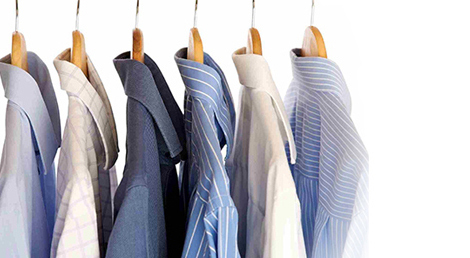 The processed garments are quality checked and finished using appropriate finishing-equipments to give it the fresh look. 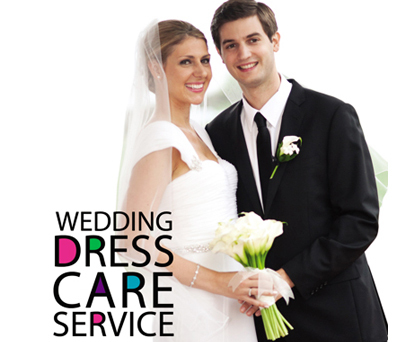 We make your auspicious occasion of marriage memorable by providing specialized cleaning and packing of your wedding dresses. 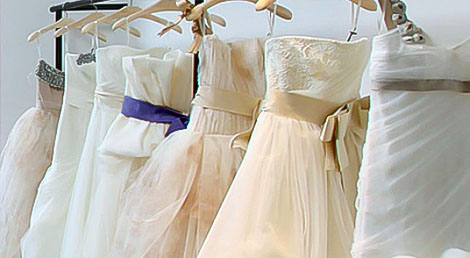 Bridal gowns represent a significant financial investment, and families want to store and protect their gowns for future generations. 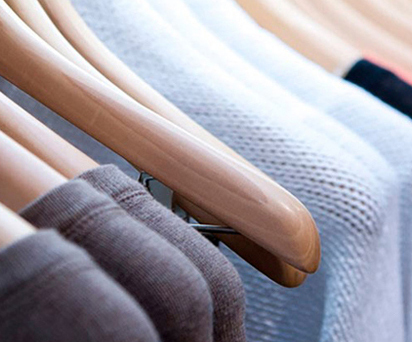 We understand fully the importance of preservation, and possess the expertise to protect and retain the shine and beauty of your garments for passing it in to the next generation. Along with industry trained staffs ,we have stores with modern amenities to serve our customer and to feel our brand promise and brand identity . We have a dedicated management team to co-ordinate the transportation and logistics process between all of our stores and to customer etc. 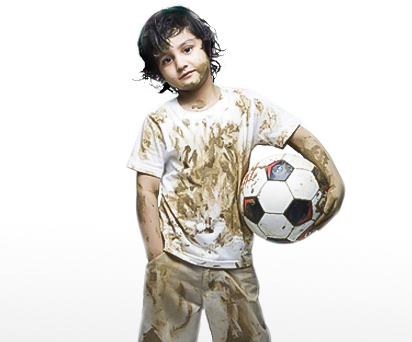 State of the art factory can process 18 tonnes a day ,We have no compromise in hygiene factors . 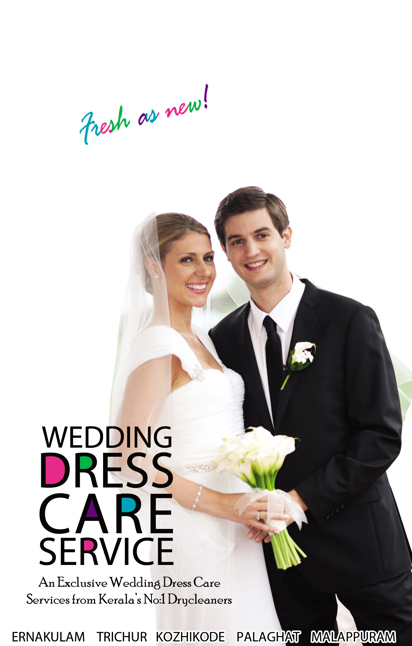 All dress care equipments are foreign made and we are using only imported solvents,detergents,chemicals which is not harmful for human beings.